Yesterday was not kind to some UConn football alumni as John Green (Cowboys), Dan Orlovsky (Rams) and Noel Thomas (Lions) joined Andreas Knappe (Falcons) and Richard Levy (Giants) were among the players cut loose by NFL teams as they got down to the 53-player maximum. Perhaps some of first-year players released will find their way onto practice squads. It wasn't all bad news as I count 13 UConn products on NFL rosters (actually now at 12 after Chargers cut Geremy Davis after making a couple of waiver claims). 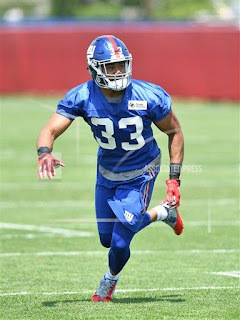 S Andrew Adams, Giants: Opened a few eyes when injuries led to the Giants turning to the undrafted rookie free agent a season ago. Adams finished with 46 tackles, five pass breakups and his first regular season interception in a win over Philadelphia. S Tyvon Branch, Cardinals: Preparing for his 10th NFL season and second with Arizona. Branch only played six games and if his stats were projected over 16 games, his 75 tackles would have been the most since his run of four seasons with at least 90 stops with the Oakland Raiders ended with a 94-tackle season in 2012. S Darius Butler, Colts: Back for his sixth season in Indianapolis and ninth overall NFL season, he had three interceptions in 12 games last season. With seven of the Colts defensive backs either in their first or second seasons, he is also being asked to provide leadership in the secondary. WR Geremy Davis, Chargers: Davis played his way onto the roster with an impressive preseason with a couple of highlight variety grabs about his nine catches in the last three preseason games. He didn't have a catch in three games with the Chargers a season ago but his make two with the Giants in 2015. UPDATE: Davis was cut by Chargers but I'd have to think he'll be back on an NFL roster this season. 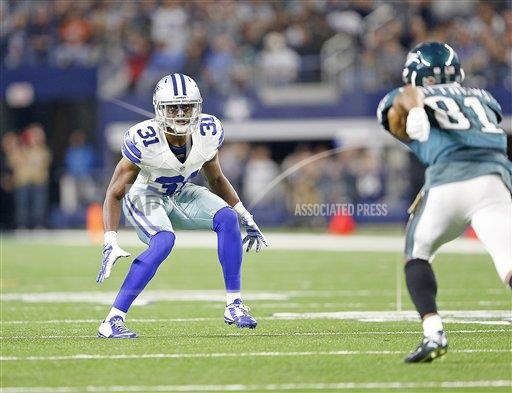 S Byron Jones, Cowboys: A first-round pick in the 2015 draft, Jones started all 16 games in his second year. Jones had 88 tackles and an interception and he forced a fumble. There are plenty of question marks in the Dallas secondary this year but the unit is being built around the athletic former Husky. CB Robert McClain, Buccaneers: McClain is with his sixth NFL franchise since breaking in with Carolina in 2010. His best years came with the Atlanta Falcons when he had 186 tackles and 20 PBUs in three seasons playing for Mike Smith who just happens to be Tampa Bay's defensive coordinator. S Obi Melinfownu, Raiders: The second-round pick was slowed by injuries in the preseason as his only tackles came against Dallas in a game featuring three former UConn DBs recording tackles. Big things are expected from Melifonwu. 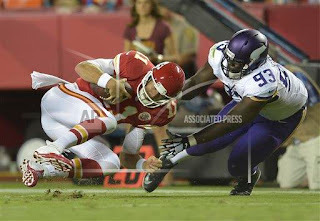 FB Anthony Sherman, Chiefs: Sherman is back for his fifth season in Kansas City and seventh NFL campaign. After opening holes for Jamaal Charles, now rookie Kareem Hunt figures to be the featured back who gets to run behind the bruising Sherman. DT Shamar Stephen, Vikings: Stephen is headed into his fourth season with the Vikings and based on media reports, this has been his best training camp to date. Stephen was taken with the 220th pick in the 2014 draft and 20 players selected ahead of him have yet to appear in a regular-season NFL game which Stephen has started 19 games including all 16 a season ago. RB Jordan Todman, Texans: Todman started training camp with the Jets but two days after being released, he was signed by Houston. The Texans became the eighth NFL franchise he has been with although he never appeared in a regular-season game with San Diego and Minnesota in 2011 and with the Jets this year. Todman averaged a career-high 29.9 yards per kickoff return with the Colts last season and the Texans obviously like the idea of a having a player averaging 26.6 yards on kickoff returns in his career. WR Nick Williams, Falcons: After breaking into the league with Washington in 2013 as an undrafted free agent, he is ready for his third season in Atlanta. A total of 17 of his 25 career regular season receptions came during the 2015 season although he does have 48 career receptions in preseason games. Blidi Wreh-Wilson, Falcons: The former third-round pick by Tennessee was probably going to make the roster but intercepting a pass in the end zone in the final preseason game against Jacksonville didn't hurt his case. After playing 34 games in three seasons with the Titans, he appeared in one game last season with Atlanta.